We’re delighted to announce the launch of our Magento 2 integration with Y2, the versatile, modern and scalable EPoS retail management system from our partners Cegid. Magento is a fully featured e-commerce platform that includes all the functionality required to set up and operate a transactional web store. Magento and Y2 and deliver an improved customer experience. As well as all the feature benefits, the integration means your website design / ecommerce company will not have to spend much time on this as we have done the majority of the work already. For more information on this impressive tool, contact Ben Johnston via email at ben@retailit.com or call 020 8605 9742. The ability to send products to Magento from within Y2. Full file export which can be user initiated or scheduled. Delta file export which can be user initiated or scheduled. Multi-selection of items via Magento web service. Categories, attribute sets and images can be sent to Magento. 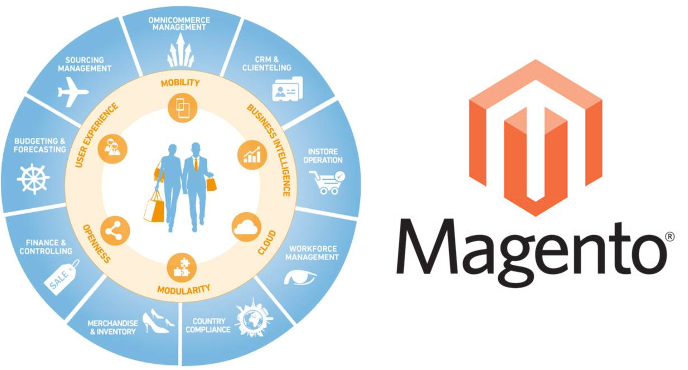 Enhanced Customer Management Capabilities enabling two-way customer integration between Y2 and Magento.